If you are looking for heating and cooling service in Tucson and the surrounding areas, look to American Conditioned Air. We have been serving homes and offices in the region for more than 4 decades. Additionally, we are dedicated to providing exceptional service to each of our clients. To that end, our HVAC technicians are NATE Certified. They also undergo annual training in all makes and models of equipment. So, our clients are able to invest in the right solutions for their homes, rather than shop from a limited number of preferred brands. Our vast knowledge and experience in heating and cooling makes us prepared to take on any job, big or small. American Conditioned Air strives for excellence at every opportunity. Therefore, we only employ the most qualified technicians. We also guarantee the same level of customer service on calls as simple as seasonal maintenance and as complex as full system replacements. Finally, a company that always puts the client first. On a new energy efficient unit our Heating and Cooling Tucson AZ techncians can help! Call us today at (520) 623-2430. 0% APR for 72 Months* on qualifying Carrier® systems. *The Carrier® credit card is issued by Wells Fargo Bank, N.A., an Equal Housing Lender. Special terms apply to qualifying purchases charged with approved credit. The special terms APR will continue to apply until all qualifying purchases are paid in full. The monthly payment for this purchase will be the amount that will pay for the purchase in full in equal payments during the promotional (special terms) period. The APR for Purchases will apply to certain fees such as a late payment fee or if you use the card for other transactions. For new accounts, the APR for Purchases is 28.99%. If you are charged interest in any billing cycle, the minimum interest charge will be $1.00. This information is accurate as of 02/01/2019 and is subject to change. For current information, call us at 1-800-431-5921. If you are building a new home, you will want to reach out to American Conditioned Air for HVAC installation. After we assess the needs and layout of your new construction home, we will then recommend an energy-efficient heating and cooling system. Because we work with all brands of equipment, you will have a full range of options for your heating and cooling in Tucson, AZ. When it’s time to replace your HVAC system, American Conditioned Air can help you choose the right units for your home. Firstly, we will assess the square footage and existing ductwork in your current system. Then, we will make recommendations to fit into your budget. Finally, we will install your new system so you can start to enjoy the benefits! When you hear odd noises from your furnace or feel warm air from the vents when the A/C is on, we can fix the problem! Due to years of experience, we are able to quickly diagnose HVAC issues and offer prompt repairs. Additionally, we can provide preventive maintenance that keeps your air conditioning repair needs in check. Although it doesn’t get to be a winter wonderland in the desert, Tucson does experience its fair share of below freezing nights. Because you won’t want to be left out in the cold, we offer a wide selection of furnaces. As with all of our services, furnace installation is performed by NATE Certified technicians with decades of combined experience. A heat pump can be an energy-efficient alternative to a traditional furnace. With Tucson’s moderate climate, heat pumps are an even more effective solution for staying comfortable in the winter. Furthermore, they can save you money on your energy bills. 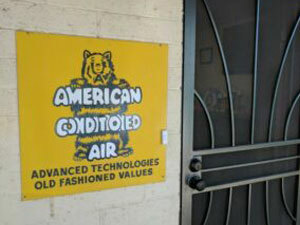 For all of your home heating and cooling needs in Tucson, AZ, count on American Conditioned Air. With more than 40 years of experience, we can repair or install any residential HVAC system. Additionally, we serve commercial clients throughout the Tucson area. This was a first-rate job where my unit was tested and placed back into service. Testing procedures done were explained and every question I asked was answered. This company is awesome!! Very knowledgeable & professional . Explains you're vist in detail. Highly recommend them!! Technician arrived on time and did a great job. Was able to get answers I had regarding our heating and cooling system along with potential solutions. Very knowledgeable. Wonderful bend-over-backwards aim-to-please service - they never disappoint. Been a customer for years and I highly recommend American Conditioned Air. 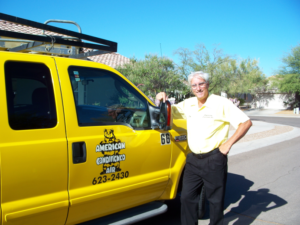 Are you in need of air conditioning repair in Tucson? If so, then it’s time to call American Conditioned Air. Even more than our commitment to quality HVAC work, we take our commitment to customer service seriously. Because we have been around for more than 40 years, we also know how to fix any A/C or heating problem that might pop up in your home. Moreover, we can handle projects of any size from small tune-ups to full-scale replacements.